Monster Hunter: World’s story doesn't have much weight or emotional investment. It mostly serves to provide context and reasons for setting the action on a new continent. The gameplay and specific mechanics do most of the heavy lifting in terms of keeping players glued to their seats. But that's okay, because Monster Hunter's always been all about the gameplay. Character personalities are hardly fleshed out, and throughout your playthrough, the biggest pull for moving forward will be to unlock new locations and monsters. You get accustomed to the usual process and will soon appreciate the pace Capcom has crafted in terms of learning new mechanics and features to keep this 50+ hour journey engaging. Fourteen weapon types await those that jump into Monster Hunter World. Each weapon has their own movesets, providing a variety of ways to play the game. They feel balanced to a point that each is effective even in endgame content, so it all boils down to what you feel is most comfortable for you as a player. For example, the sword and shield may be simpler than other sets, but its effectiveness isn’t overshadowed by the sheer strength found on weapons such as the Switch Blade or the Great Sword. The gameplay is still Monster Hunter in every way, with quality of life improvements that fans will notice and appreciate. Controls are easy to get used to, and the game provides shortcuts to swiftly craft items on the fly, or access certain items without going through your inventory. Tracking monsters has also become easier thanks to the introduction of Scoutflies, helpful bugs that not only facilitate getting into the action faster, but also function as a mechanic to slowly unlock more information about certain monsters, giving you an opportunity to make the next hunt a lot easier. The biggest boons keeping the replayability factor so high are the gorgeous locations and the numerous well-animated monsters that inhabit them, plus the many interactable objects – plants, bugs, and environmental elements that can be used as either monster traps or personal buffs. The areas that you explore can be random but lively, and the fact that each monster fights and acts differently can keep the player on their feet, even though you've killed the same beast a few times during one session. Randomness can come in the form of a monster getting trapped by the environment, or another local monster deciding to pick a fight with your target, leaving you in an awkward position to either join in, or let them settle their squabble. I've fallen asleep thanks to a toad I triggered near me, only to have the monster I was fighting venture too close and also get knocked out. I've spent 100+ hours easily so far and I’m still not sick of going through the five locations available in the game. Monster Hunter: World is an action RPG without the traditional leveling and stat allotments to improve your character. Each hunter gets a fixed amount of life and stamina, and progress is determined by the weapon and armor you have equipped. 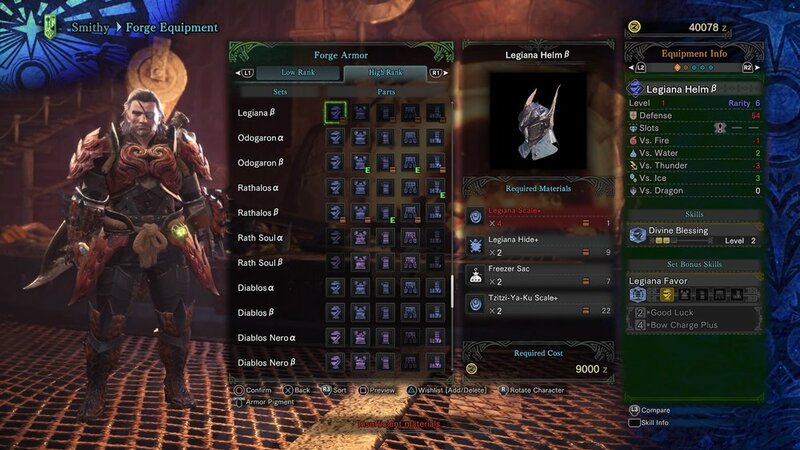 The better your equipment, the tougher the monsters you can take on, so you will need to forge new weapons and armor from the materials gathered from your previous hunts. 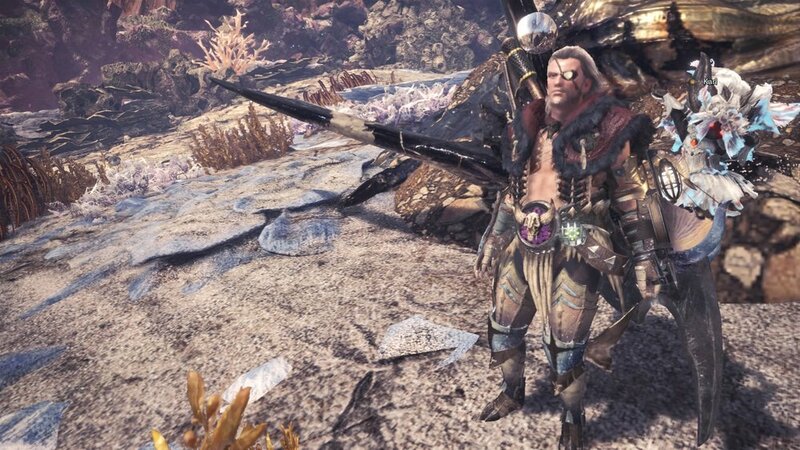 I found myself switching between different weapons and armours to best utilize and exploit each monster's strengths and weaknesses. There's fun in finding the best combination to make you the most effective hunter against a certain monster. There's a lot of mechanics to learn in this game, but Capcom was smartly able to space out the release of each feature so as to not overwhelm the player right away. You have new features unlocked midway or even during endgame content, causing players to constantly shift their goals. For example, Decorations, the skill slot system, is introduced during High Rank missions, which I unlocked on my 40th hour.The game keeps throwing something new at the player, introducing new ways to either improve your character or make it easier to earn specific items, lessening the grind a bit. Monster Hunter: World has online play, allowing up to four players to join in on a single quest. The online experience has been seamless since launch, with no issues aside from the Squads feature bugging out on me (now fixed with a patch). New to the game - and I think it’s one of the best additions - are SOS signal flares. Players who are online can launch a signal flare during a quest to request for help. Players can respond to your SOS, jumping into your game to help out with the hunt. It's so quick and satisfying to launch an SOS and see three able players appear and beat my target in record time. It's crazy how well it works. As much as I enjoyed playing with other hunters, I found myself more often enjoying the hunts alone. The whole game can be played offline, and I enjoy the challenge of battling these unique beasts solo. 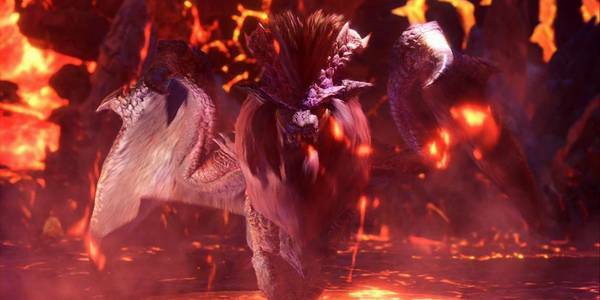 Sorry, I take that back, you are not alone – Palicoes are a hunter’s best friend. 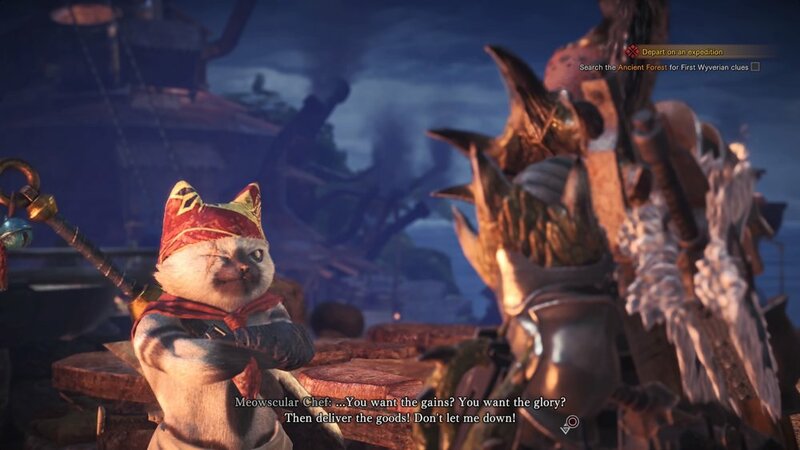 Palicoes are these cute cat companions that go on hunts with hunters, and they’ve done key plays that have turned the tide of many a hunt. There are many instances that prove how useful they are, with your cat companions creating different openings for a player to exploit. It's hilarious to see a cat tackle a dragon-like creature, knocking it off balance. Their antics are another great element that keeps each hunt different from the last. The tutorials provided and the difficulty curve from start to finish make this one Monster Hunter you can jump into with no prior franchise knowledge. After seeing the credits roll, Monster Hunter: World boasts endgame content that can easily add 100+ more hours for completionists and those looking to overcome the hardest challenges in the game. With proper support from Capcom, I can see players playing this game for months to come. It's rare to see a developer strike that perfect balance of accessibility and variety, while not dumbing down the experience for fans that have stayed with them since the first Monster Hunter game released back in 2004. Hunting monsters have never been this fun, and this is easily the game to recommend for all those first-timers wondering what the fuss is all about. You’ve been warned, though – once you start, it will be difficult to let go. The remake of Resident Evil 2 is still all about proper planning and picking the right battles. We gathered a few tips that we think are essential to those starting their first visit to Raccoon City. We played the Resident Evil 2 remake at ESGS 2018 and the 10-15 minute demo expressed similarities to previous titles such as Resident Evil: Revelations series and Resident Evil 4. The demo of DMC5 present at the Capcom booth during ESGS 2018 only featured Nero with his new hairstyle and his new robotic arm, complete with combat arenas full of baddies to combo and a solid boss fight. It has been over 17 years since Onimusha: Warlords kicked off a beloved series full of intense sword fights, duty-bound warriors, and demons determined to envelop the world in darkness." The new footage showcases incredibly destructible environments, massive boss fights, freezing time and Nero using his own robot arm as a rocket board because why not.